We believe everyone should be able to buy CBD Oil Online and feel confident they are getting the best. 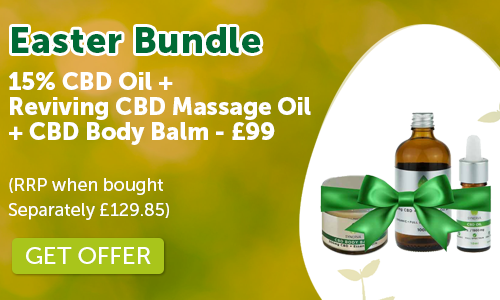 Synerva CBD UK is a business born out of the passion and desire to provide the UK with the Finest CBD Oil products. Ranging from Edible CBD Gummies and Capsules to High Strength Oils. Our aim is to satisfy all requirements and budgets. You can rest assured what you are putting into your body is the best as all our products contain completely natural ingredients. Whether for everyday well being or remedy we are sure we have a product for you. To understand how cannabidiol (CBD) works you must understand the endocannabinoid system (ECS). We all have an endocannabinoid system. The endocannabinoid system is internal to the body which is why it has the prefix ‘endo’ from the Greek word meaning ‘within’. It consists of endocannabinoids, cannabinoid receptors and enzymes. Endocannabinoids are fatty substances or oils in microscopic quantities which interact or bind with cannabinoid receptors. Cannabinoid receptors are membranes in our body’s cells that enable signals to be passed back and forth. There are CB1 and CB2 receptors in the central nervous system and CB2 receptors in the immune and gastrointestinal system. The enzymes are responsible for the manufacture and disposal of endocannabinoids. Our body manufactures endocannabinoids in order to pass messages concerning functions such as pain, inflammation, memory, appetite and mood. The CBD part of “CBD Oil” is a phytocannabinoid, meaning that is it is a substance derived from a plant (phyto) that interacts with the cannabinoid receptors found in the body. Most phytocannabinoids are from the cannabis plant although some other plants such as echinacea and cocoa also contain cannabinoid-like substances. So, CBD and other phytocannabinoids can affect our body in the same way as endocannabinoids. Remember though that when you ingest CBD, even in small doses, these are massively greater than the microscopic quantities of endocannabinoids. In theory then, phytocannabinoids can affect pain, inflammation, memory, appetite and mood. Remember though that the effect can work either way. For example, scientists are working hard to research how cannabinoids can reduce rather than increase pain and inflammation and have a beneficial effect on our memory and mood. So, it’s pretty clear that our endocannabinoid system is very important to our health and wellbeing. Just how important the endocannabinoid system is has been well expressed by Dr David Allen, an eminent cardiac surgeon and cardiologist. He describes it as the most important discovery in medicine since the invention of sterile surgery technique. Amongst all its other functions, the Endocannabinoid System is responsible for maintaining ‘homeostasis’ or stability and balance of all our bodily functions.